Fiona reluctantly agrees to Matthew Mercerâs intriguing proposal, and sheâs tossed headfirst into an underground world of monsters that shouldnât exist. To find her father, sheâll need to venture into the dark with a guide who might be just as dangerous as the creatures sheâll face. Can she trust the captivating Matthew or is he leading her to a fate worse than death? 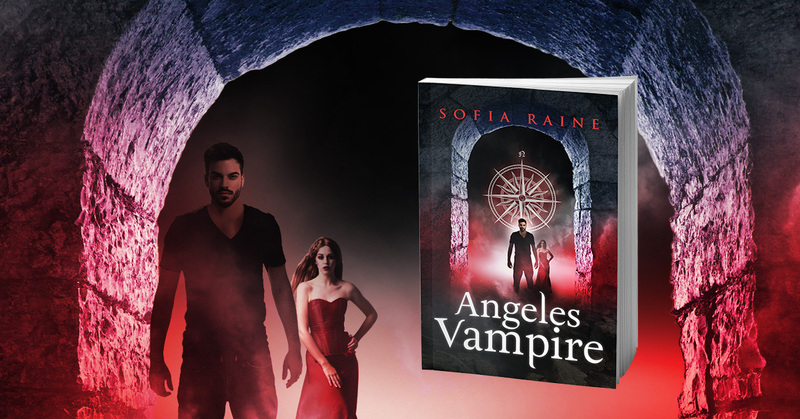 Angeles Vampire is the first book in an addictive new paranormal series thatâs perfect for fans of Twilight, The Vampire Diaries, and A Shade of Vampire. 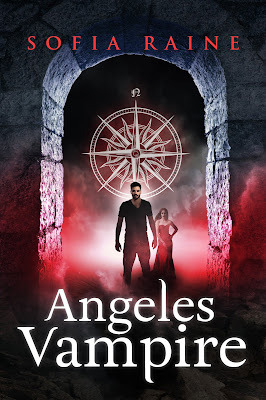 If you like unearthly plot twists, heart-stopping chemistry, and characters with dark secrets, then youâll love this new take on the lore you crave. âRoland Damascus? Never heard of him. Youâve obviously got the wrong house.â The middle-aged lady answering the door tapped long, red nails against the worn wood, impatient to get back to whatever sheâd been doing before Iâd so rudely interrupted her. Those nails, nearly talons, quickly grated on my nerves. The moment I retracted my foot, the door slammed in my face. It wasnât the first time this had happened, and I had a sneaking suspicion it wouldnât be the last. I listened to footsteps marching away on the laminate flooring for a few moments before turning to go. Iâd had a good feeling about this house, but it was now one more address to cross off my list in the endless search for my father. If Mom found out I was still looking for him, sheâd probably have an aneurysm. But she didnât understand the need to know where I came from. She knew both her parentsâhad been raised by them, actuallyâin a model suburban household. The few pictures I had of my father, on the other hand, were from before I was born, so nearly twenty years earlier. Heâd split upon finding out Mom was pregnant with me; I guessed it was a gross understatement, then, to say I hadnât been planned. I stomped down the steep driveway where my boyfriend, Sean, was waiting by the curb, leaning against the hood of his decade-old red Civic. I was always grateful for him driving me on these wild goose chases Iâd regularly map out. Google was such a great resource for most of the world, but a terrible enabler for someone like me. Colorful chalk drawings decorated the driveway, spilling onto the bisecting sidewalk. The drawing that initially caught my attention was of a three-person familyâthat I assumed was a mother, father, and daughterâall holding hands. I probably should have turned around from the sight of this drawing alone; it seemed obvious they had their family unit and no space for a troubled outsider like me. What at first glance I took to be an elaborate sun above the fatherâs head, I soon realized was a compass with a cursive âNâ at its zenith, which made me stop and examine it closer. âI noticed that too. Seems out of place among the clouds and rainbows,â Sean said. âNot when I thought it was a sun,â I said, letting the picture go and continuing to the car. Sean met me by the passenger door and pulled me into a hug. I buried my face in his chest. I knew I wouldnât cry this time, but his warmth was always comforting. Sean didnât say anything, just rubbed his hand across my back while I sighed into his sweater. âNot the most pleasant woman, but Iâve encountered worse,â I said, pulling back and offering a weak smile. Sean nodded with an apologetic expression. âI know,â was all he had to say before opening my car door and guiding me in with a gentle nudge. This neighborhood was only a few cities over from home, whichâjumping on the 5 freeway in Orange County Saturday afternoon trafficâmeant about a twenty-minute drive. The carpool lane always helped. Once we were moving, I grabbed my notebook from atop the dashboard and removed the pen from the spiral binding. I flipped to the latest page of notes, and halfway down, crossed out Gillian Edwards 1302 Wheeler. âYou up for hitting one more today?â I asked, getting out my phone, ready to type in the address. âItâs on the way.â Even though I was still frustrated from the previous encounter, I tried to keep my voice light and upbeat. I could still hear those irritating nails against the door. âDonât you have work soon?â Sean asked as we turned onto the freeway on-ramp. âSee, Fee? Youâre expecting it to be another dead end.â He glanced over at me to gauge my reactionâjust in time to see me bite my lip. Sean was quiet for a moment, his jaw tightening as he considered a response. Heâd started driving me on these little excursions even before we officially got together. I opened up with some of my crazy and he seemed to embrace it, which originally brought us closer together. But as the sleuthing hobby became more of an obsession, it began to strain our relationship like obsessions and addictions tend to do. Then the natural progression led to fear of losing himâlosing what weâd built over the past fifteen months. Iâd already had enough loss for one lifetime. I couldnât accept that. He sounded like Mom, which irked me. It was always better to know. The worst part was not knowing, not how bad something turned out to be. We drove a long time in silence, all the way to the off-ramp less than a mile from my apartment. As we sat in silence at a stoplight, and just as the song weâd been listening to transitioned to a commercial, Sean said something sending goosebumps rippling through my body. âI canât do this anymore,â he said softly. I finally turned back to him and he glanced my way before the light turned green, then he hit the gas. âWhat?â I said, unsure Iâd heard right, or trying to convince myself I hadnât. âWhat does that mean?â I asked, now suddenly sick to my stomach. âAre you seriously breaking up with me?â Now, I was afraid I might actually throw up. Luckily, we were only a few turns away from my complex. Then I could jump out and vomit in a bush or something. Real classy. âDonât call me that.â I could feel my blood pounding in my earsâright next to the tapping of those devilish nails. Besides the war raging in my stomach, my eyes were starting to tear up and there didnât seem to be a damn thing I could do about it. I crossed my arms and stared straight aheadâjust in time to see an animal darting across the street. âSean, watch out!â I screamed. His head whipped back to the road, his grip jerking the steering wheel. He swore as we swerved toward another car, then over-corrected in the opposite direction. The front tires of Seanâs Civic hit the curb, launching us onto the sidewalk. A concrete light pole came barreling toward us, which I noticed only a moment before impact. An airbag went off beside me, though nothing deployed on my side. My seat belt didnât lock and it seemed I was flying forward long after the car had stopped, the front end now grotesquely wrapped around the concrete pole. There was no time to reactânot even an instant. The last thing I saw was the dashboard as my head slammed straight into it. Sofia Raine loves stories that are thrilling and unexpected, romantic and fantastical â addictive tales that keep you reading long past the witching hour.